Relief for residents in Gelorup with fire fighters able to contain a blaze that was threatening homes this morning. A bushfire advice has now been issued for people in the area bounded by Gelorup Rise, Bussell Highway, Woods Road and Marchetti Road in the northern part of Gelorup. 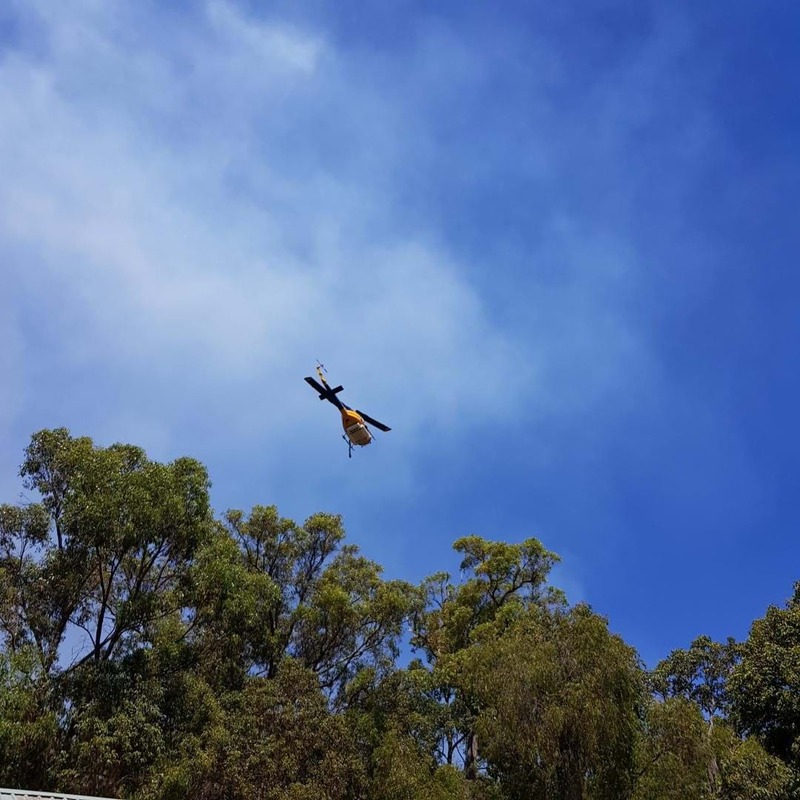 The fire was first reported just before 10am near Marchetti Road and authorities immediately issued an emergency warning as it was near homes and moving westerly. Containment lines have since been strengthened and contained the fire, however it is yet to be taken under control. Approximately 80 hectares have been burnt, with firies on the scene still hoping to win the battle. Full details from DFES below. A bushfire ADVICE has been issued for people in the area bounded by Gelorup Rise, Bussell Highway, Woods Road and Marchetti Road in the northern part of GELORUP in SHIRE OF CAPEL. The alert level for this fire has been downgraded as the fire is now contained. The fire started near MARCHETTI ROAD in GELORUP. The bushfire is moving slowly in a north easterly direction. It is contained but not controlled. Firefighters are on the scene strengthening containment lines. Volunteer Fire and Rescue Service, Bush Fire Service firefighters are attending. The fire was reported at 09:27 AM on 31 January 2019. Currently there has been 80 hectares burnt. Shire of Capel is managing the fire.